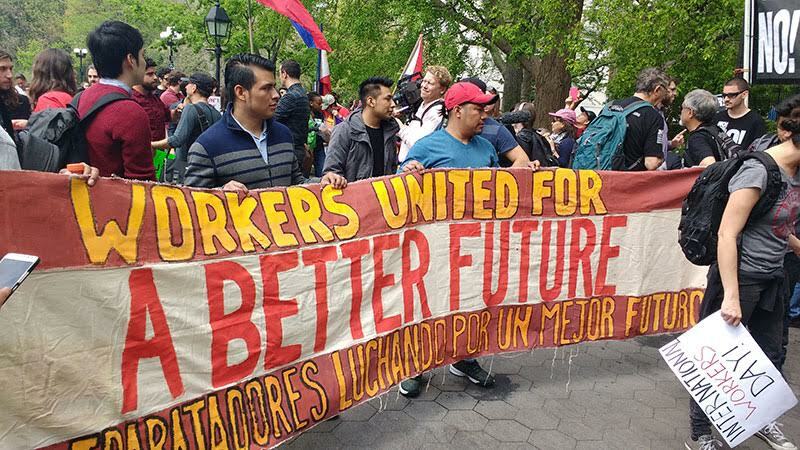 Thousands of New Yorkers took the streets for workers rights on May Day. 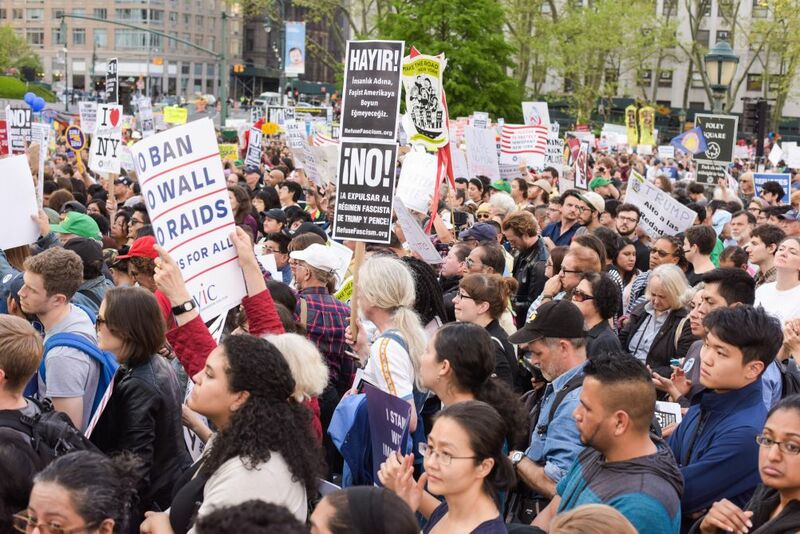 Thousands gathered at rallies and protests at Foley Square, Union Square and Washington Square Park. 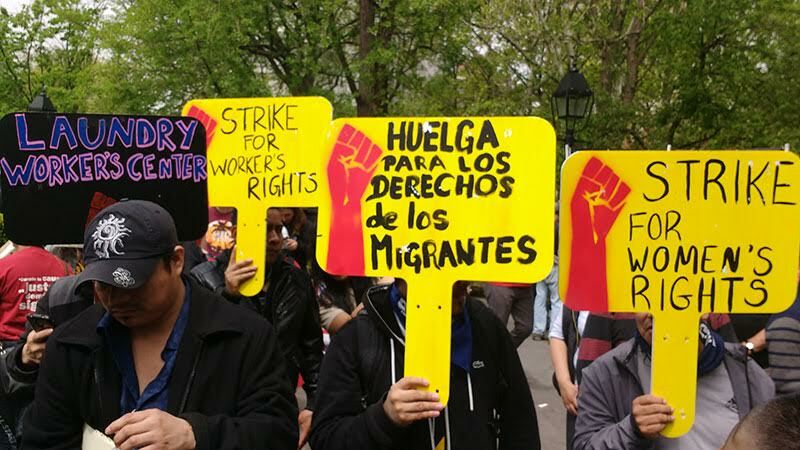 By 9:30 am, about 200 people had gathered outside of B&H in Manhattan– most Latino immigrants seeking to keep their jobs from relocating to New Jersey as a part of a union busting tactic. They were joined by community members, students, UAW members and Postal Worker Union representatives in a picket at the store. 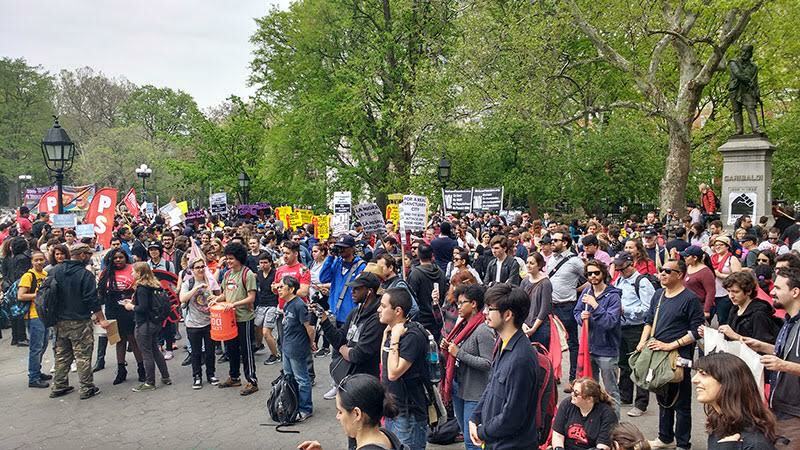 In Washington Square Park, hundreds gathered for a rally that focused on immigrant labor and denounced Trump’s racist policies. 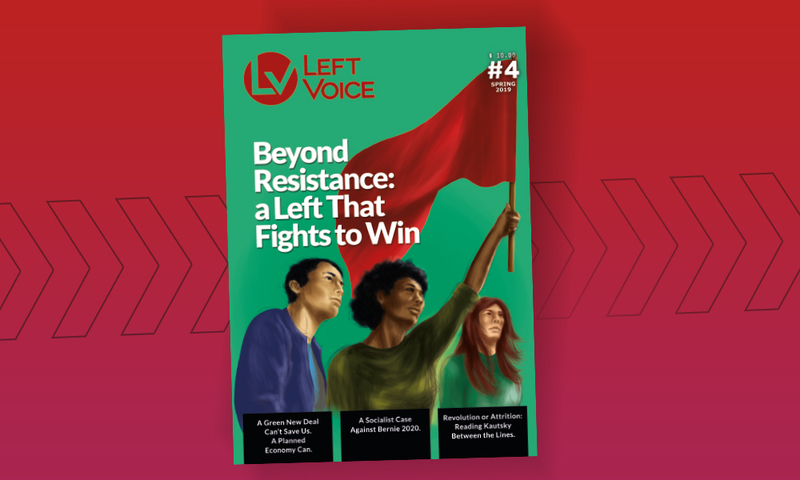 "There is no way to talk about women´s freedom if the liberation of some depends on the exploitation of others." Ximena speaking on behalf of the International Women´s Strike on May Day. 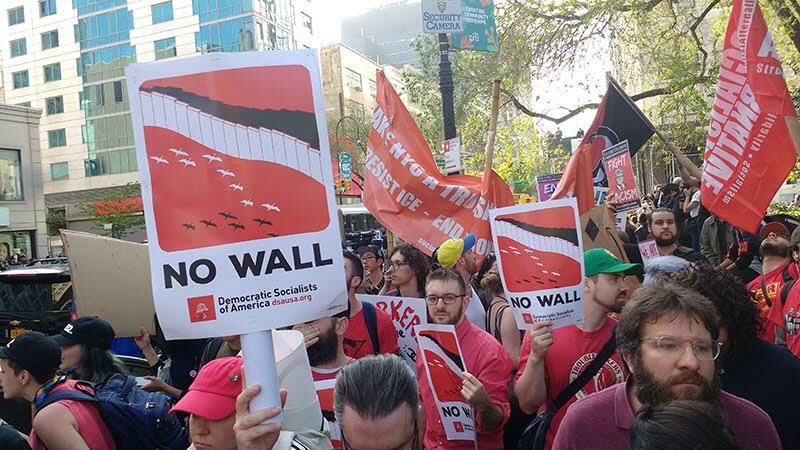 Another rally was held later at Union Square, where anti-capitalist political parties like DSA, PSL, Socialist Action and the ISO converged, along with anarchists, immigrants rights advocates, Puerto Rican activists and more. When protesters tried to begin the march, the police surrounded them both on foot and on motorcycles, forcing the march to return to Union Square and take another route. In total, 14 people were arrested in New York, demonstrating just how much our right to protest is curtailed by the government. At Foley Square, unions gathered around a stage to hear speakers such as Mayor Bill De Blasio and watch performances. 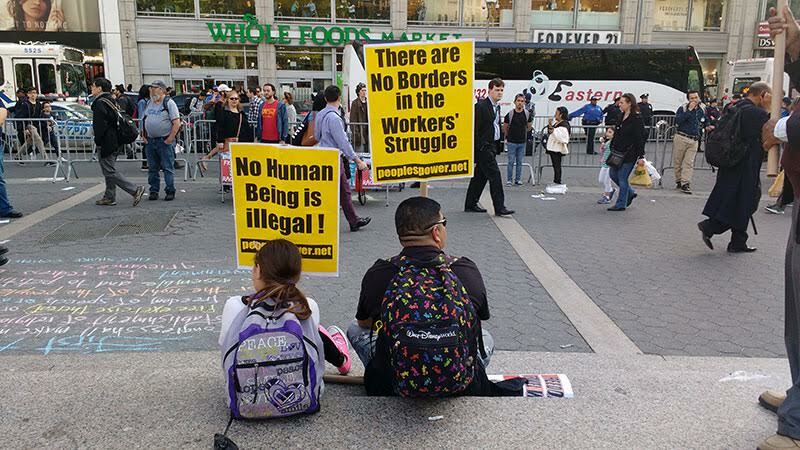 Although the speeches spoke in favor of immigrant and workers rights,the Democratic Party is known for Obama the Deporter in Chief, and Clinton who passed anti-labor right to work laws. Union leaders were also present at the Foley Square rally, although these same union leaders refuse to make a plan for how New York City labor can defy and overcome the Taylor Law, which makes it illegal for public employees to go on strike. There were protests all over the United States on May Day. 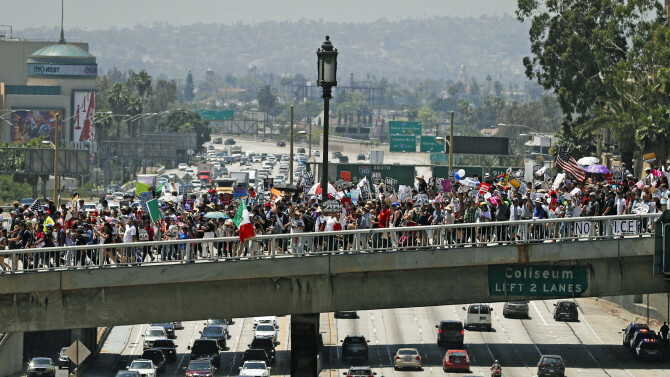 Noteable, in Los Angeles, thousands gathered to march from MacArthur Park to downtown Los Angeles. 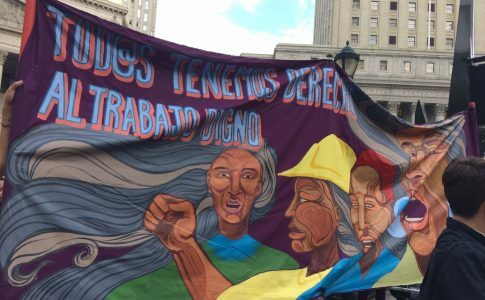 Another noteable May Day march was held in Philadelphia, where over 1,000 teachers called out sick in order to spend the day protesting in the streets. 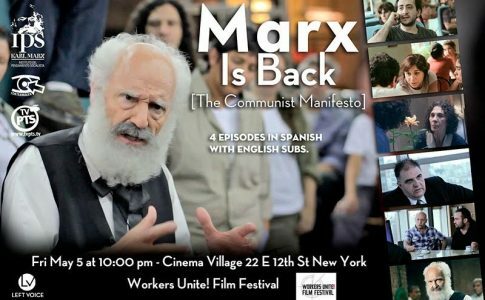 This May Day was marked by actions all over the country, protagonized by workers, students and political parties. Thousands mobilized, expressing their anger against Trump and their support for workers rights. 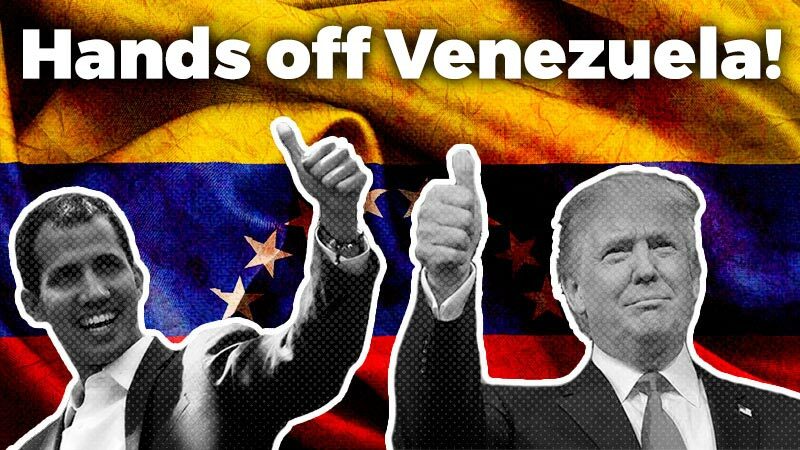 In order to really defeat Trump’s policies, we must organize strikes and work stoppages. 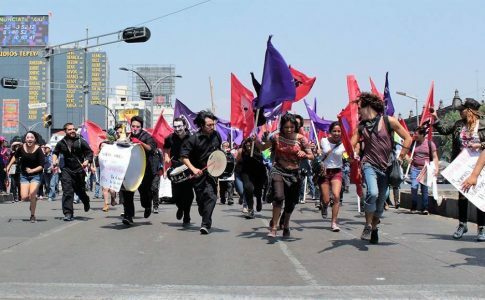 We should be inspired by the Puerto Rican general strike on May Day, and the Brazilian general strike only a few days ago that demonstrate that mass workers actions are not only possibly, but necessary. 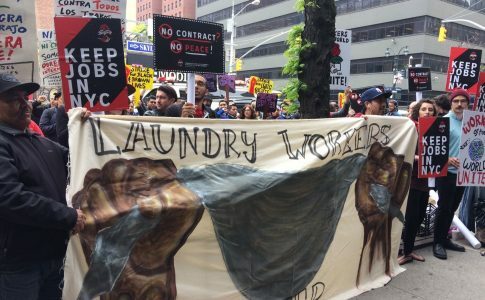 Thousands marched through the streets of New York on May Day to fight for workers' rights.